It was very encouraging to see so many people in agreement with the talk I gave, as since many asked me to provide the text of what I said, I have posted it at this link. Click here if you want to read the text of my speech. Scroll down on this page to see some pictures, videos and news articles about the event. Many thanks to the Shelby 912 group for putting this event on, and for inviting the Rutherford 912 to participate. 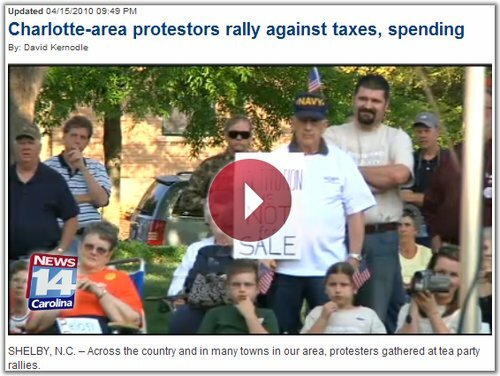 "Thursday – Tax Day – was one to remember for the budding local group as they joined countless others from Maine to Hawaii in protesting government spending." Those who believe in our constitutional form of government and that the laws set forth by our Forefathers should be either honored or changed by law. Join the Shelby & Rutherford 912 groups at the Shelby, NC Courthouse Square, and be a part of this year's Tea Party movement. 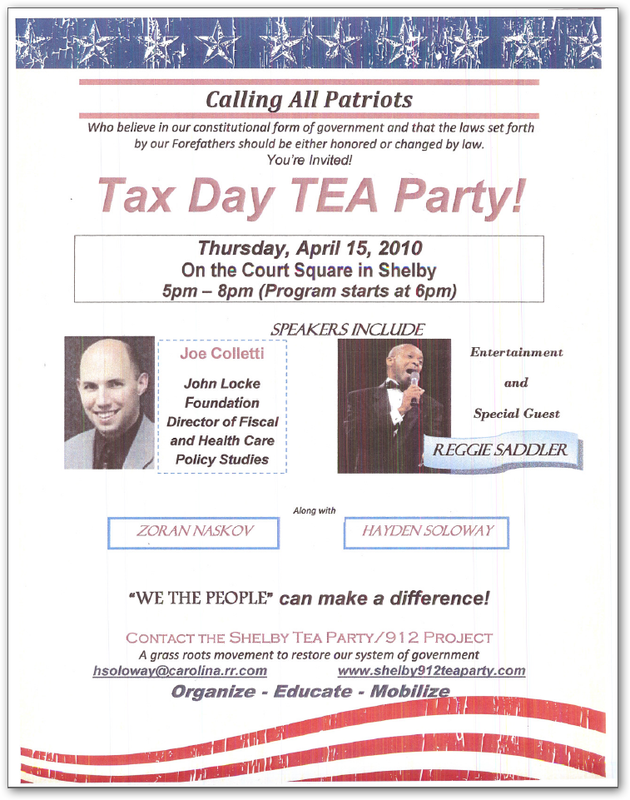 For information on the Shelby 912/Tea Party visit their site at http://shelby912teaparty.com/ . To RSVP on our Facebook event page click here.